11. Robert Pattinson, “Good Time” – Incredible. A tightly wound performance that’s filled to the brim with desperation, determination, and an undying love for a brother. 10. Saoirse Ronan and Laurie Metcalf, “Lady Bird” – A really believable, fleshed out dynamic between a mother and a daughter, and Ronan and Metcalf deliver. Shoutout to Tracy Letts as well for his under-appreciated supporting role. 9. Timothee Chalamet and Michael Stuhlbarg, “Call Me By Your Name” – Hammer’s good, but this is Chalamet’s film and (for a brief moment) Stuhlbarg’s. Chalamet strikes a nice balance between youthful innocence and burgeoning sexuality, and him simply staring into a fireplace is enough to make a highlight reel for the young actor. As for Stuhlbarg, he exudes warmth and compassion, and he continues to solidify an incredible career. 8. Jessica Chastain, “Molly’s Game” – I’m so biased. I’m going to love anything Jessica does. She’s legitimately great in the film, though, holding it all up even in its weaker moments. She just has such a vivid, commanding screen presence, and I am enthralled by every single second. Shoutouts to Elba, Cera, d’Arcy James, and Camp for their supporting roles. 7. Garance Marillier, “Raw” – Simply an electrifying performance from a 19-year-old French actress. She finds the fun in playing a cannibal, but she also wonderfully delves deeper into its complexities and difficulties. 6. Andy Serkis, “War for the Planet of the Apes” – What Serkis has been doing over the last few years is unparalleled. The amount of work, preparation, and sheer acting ability that’s required to play Caesar is astounding, and if you’re not convinced, just look up a video about Serkis and VFX. 5. Haley Lu Richardson, “Columbus” – I’d say Haley Lu Richardson is a star in the making if this didn’t already solidify her as one. Her performance lives in the little moments, and she finds such a natural grace and empathy in her character. She and Cho play off of each other very well. 4. 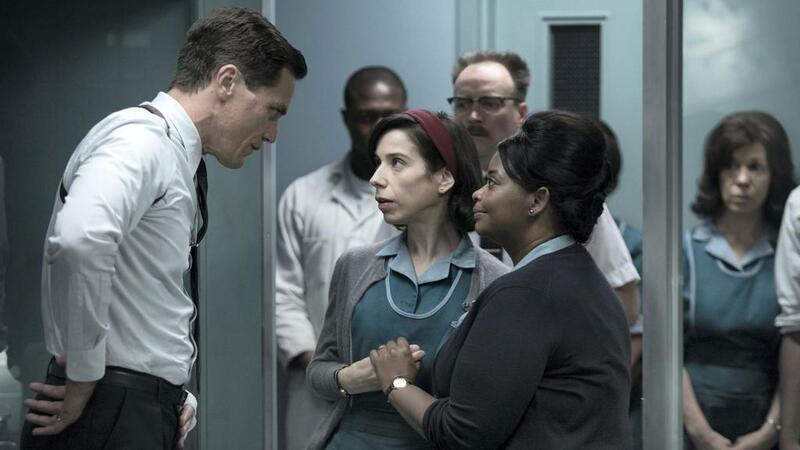 Sally Hawkins and Michael Shannon, “The Shape of Water” – Hawkins’ wordless performance is incredible because her body language and facial expressions become significantly more important, and she nails every moment. As for Shannon, it’s always a treat to watch him go full-on intensity, and there are several disgustingly awesome moments later in the film that he plays to maximum effect. 3. Jake Gyllenhall and Tatiana Maslany, “Stronger” – Jake is one of the best actors alive, and he doesn’t get anywhere near enough recognition from the awards circuits. Here, he takes what could easily be an exploitative or saccharine role and draws a wealth of genuine emotion from it. Maslany is incredible right alongside him, which shouldn’t be surprising to anyone who saw even just one episode of Orphan Black. 2. Brooklynn Prince, Willem Dafoe, and Bria Vinaite, “The Florida Project” – It’s clear after this film that Prince and Vinaite are huge talents, and I hope both have long and fruitful careers ahead of them. With the vet Dafoe along for the ride as well, the film becomes an incredibly rich look at these characters’ hopes and hardships. If you want to see an example of this cast’s talents, just watch the final sequence. 1. Vicky Krieps, Daniel Day-Lewis, and Lesley Manville, “Phantom Thread” – Three hypnotizing performances that walk a tightrope around each other, poking and prodding as they make sense of the situation. Krieps is the standout. It’s the best performance of the year, a stunning process that sees her character grabbing ahold of her desires and driving them to the forefront. Daniel Day-Lewis is a legendary actor who gives a fantastic performance here, but Krieps manages to match him step for step, oftentimes out acting him as she places the film under her spell. In a year filled to the brim with excellent (especially female) performances, she stands above the rest. My goodness, your list had me cheering in my chair. SO glad to see someone else praising Haley Lu Richardson. “Columbus” had a prominent place on my Top 10 list and Richardson was in my Lead Actress Top 5. And who on planet earth could argue with your #1 pick? Those three were nothing short of brilliant. Gyllenhall and Maslany? Completely agree. Both have been criminally overlooked. Chastain for “Molly’s Game”…shame on the Academy. Not even nominating her. Oh well, gotta squeeze in Streep I guess. Ronan and Metcalf – unforgettable. I could on and on… GREAT list. Yeah I’d resigned myself to the fact that Chastain wasn’t getting in, I just wish it weren’t for Streep. 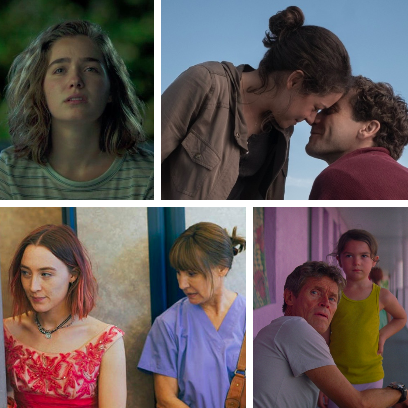 She was fine, but so many lead performances were better – case in point, Haley Lu Richardson. I’m glad we agree on so many of these!